At breakfast, three men arrived and Ana Maria, my homestay mother, quickly sat them down in the kitchen and fed them. They were going out to work in the “chakra” (cooperative farm plot), and I was welcome to join them. 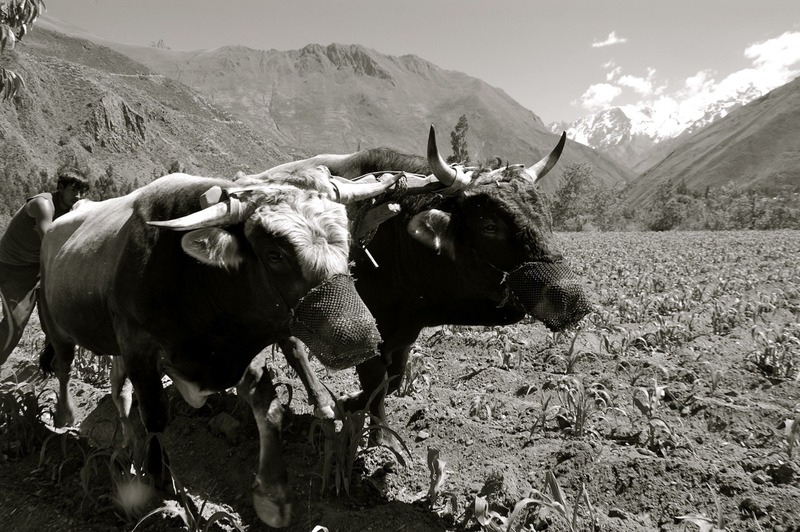 We walked the dirt road out of San Isidro, through the vibrant patchwork of fields leading across the valley to the Urubamba river. The chakra that Ana Maria is part of is shared by several different families. Paula the cow and her calf, Chiara live on the chakra. 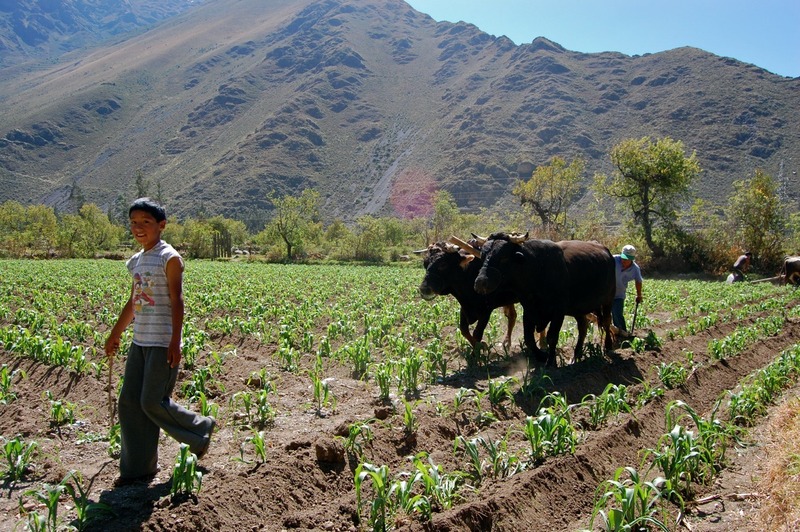 Corn, potatoes, wheat, barley, and carrots are all grown in the small terraced fields. Today’s task was to fertilize and till the corn field. Three young kids, Jessica, Brian, and Oben were there from one of the chakra families. Everyone seemed a little suspicious of the mysterious gringo who appeared with the camera, but as the morning wore on, and they saw me putting my hands to work on the earth alongside them, I quickly became a welcome member of the crew. Actually, it was showing the kids how to use my camera and letting them shoot some photos that won them over. 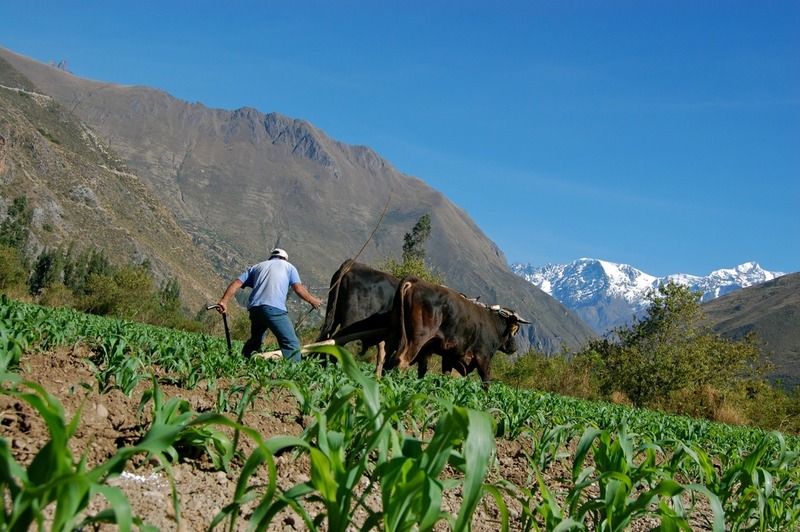 The men were proud to share their farming methods handed down since before the time of the Incas.